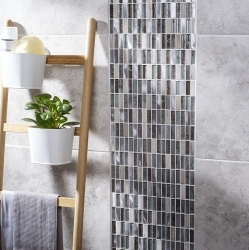 With the Largest Showroom in the area, Central Tiles an extensive range of high quality bathroom tiles to suit all tastes and budgets. The majority of our products in this range are manufactured in Spain and are of a superior quality and finish. Our best floor tiles are in stock today, but all others can be obtained in a week or less. 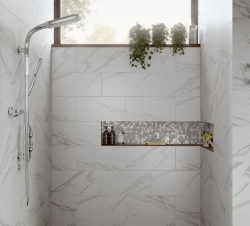 Our philosophy is to show large displays of our tiles and therefore give our customers a chance to visualise their job before they commit to buy. Free samples are also available in store, and as with all our products we offer free local delivery. 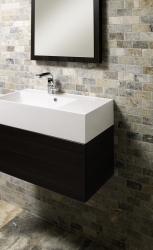 For ceramic tiles in the Blackpool area, give us a call on the number above.